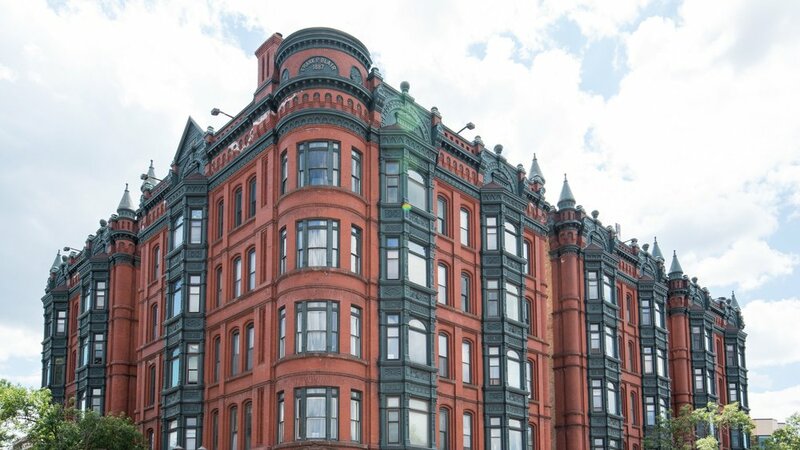 Cathedral Hill is one of the most beautiful office space locations in St. Paul. Historic and modern locations give this area a unique feel. St. Paul’s Cathedral Hill is one of the most established and storied communities in all of the Twin Cities. Bordered by Summit Avenue to the south, Dale Street to the west, Marshall Avenue to the north and John Ireland Boulevard to the east, the historic area has been exquisitely preserved, displaying fantastic architecture of yesteryear while moving forward into the 21st Century. And although Cathedral Hill is old – born in the 1870s – there is nothing old about it. Charming stores and iconic restaurants line the streets, and it blends beautifully with nearby neighborhoods like Ramsey Hill, Crocus Hill and the Grand Avenue area. And then there are the views. Remember, the name is Cathedral Hill, so being perched up allows for some incredible and sweeping views below of the river bluff, downtown St. Paul, and of course, the beautiful Cathedral after which the area gets its name. Since its beginning, artists, writers, academics and more have flocked to this neighborhood, including F. Scott Fitzgerald who spent time writing at various homes and restaurants that exist here today. A perfect blend of the past and the present, Cathedral Hill honors its history while keeping up to date with modern times and trends. You will find no shortage of unique spaces in Cathedral Hill, from historical and quaint to modern and hip. And, regardless of where you end up, you will come to appreciate and embrace the community you’ve become a part of, quickly adopting the support of the surrounding business community. Located just outside of Downtown St. Paul, Cathedral Hill boasts a myriad of restaurants, coffee shops, and boutiques. It is home to some of St. Paul’s most iconic spots, including Nina’s Cafe, W.A. Frost, and the University Club, as well as some classics-in-the-making like Moscow on the Hill, The Happy Gnome and La Grolla. The neighborhood also boasts a YWCA and Mississippi Market for the health-conscious, and nearby Grand Avenue for those seeking some retail therapy. Getting around Cathedral Hill via foot or bike is quite easy with plenty of walking and biking paths. And, if you want to explore other parts of St. Paul, you’ll find access to the 26-mlile Grand Round loop via Summit Avenue. Several bus stops also pepper the area for those who take public transit, and the Western Avenue LRT station is located just across Interstate 94. If you arrive via car, parking is readily available in both lots and on the street.